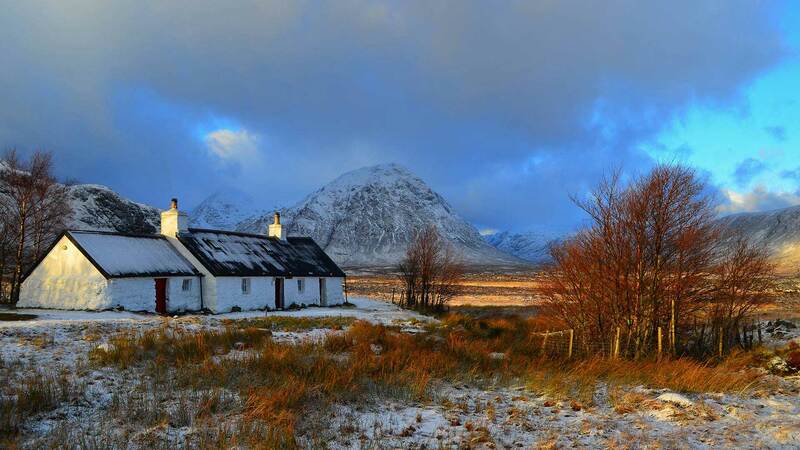 The days are shorter, but Scotland’s majestic winter atmosphere more than makes up for it. Surround yourself with scenes of rust-coloured valleys, castle ruins shrouded in mist, snowy Highland peaks and colourful towns aglow in festive lights. 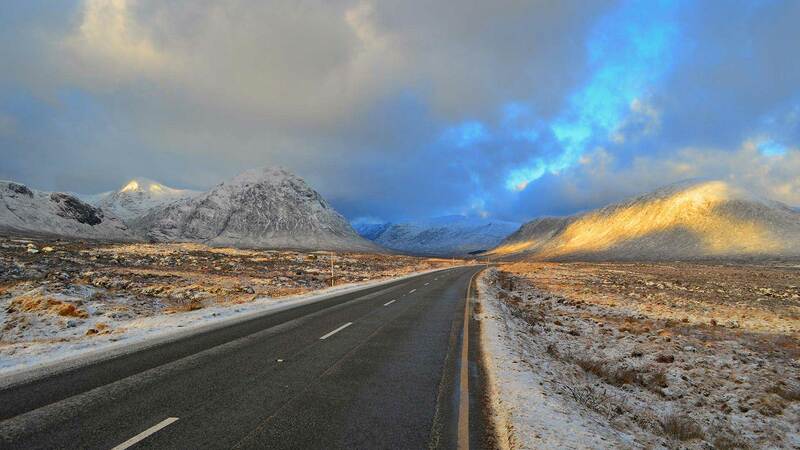 On this winter self-drive journey you’ll experience famous places including the Cairngorm National Park, Isle of Skye, Loch Ness, Glenfinnan and Trossachs National Park, along with the cities of Edinburgh and Inverness. Welcome to Edinburgh. For an easy and comfortable way to get from Edinburgh Airport to your hotel in the city centre, we are happy to arrange a private transfer for you (at additional cost). After settling in, go out and explore. 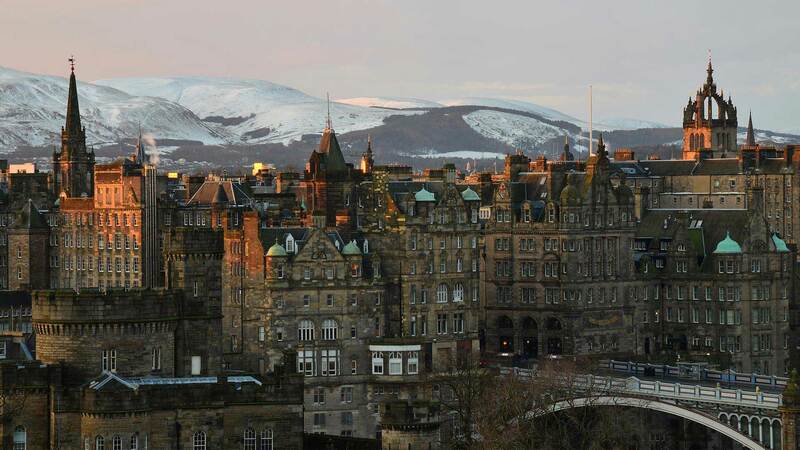 Edinburgh has a long and storied history, so there’s no shortage of UNESCO World Heritage Sites, museums and landmarks to visit, including the majestic Edinburgh Castle. And of course there are plenty of restaurants and bars to enjoy some warm Scottish hospitality—not to mention a taste of the local whisky. Head towards the majestic Highlands today. There are many notable highlights on your way, including the lovely village of Dunkeld, perched on the banks of the River Tay and The Hermitage. Here you can see the beautiful cathedral ruins, or take a winter walk through the Hermitage Forest to view the romantic Black Linn Falls and Ossian´s Hall of Mirrors. Continue to Pitlochry, from where a 20 minute detour along Loch Tummel takes you to the stunning Queen’s View, one of Scotland’s best known lookouts. Spend some time in Pitlochry itself where you can find plenty of pubs and cafes, you might be tempted to enjoy a traditional Afternoon Tea! Another option is to take part in a 2.5-hour jeep safari, guided by a local ranger, through forests, mountains and moors on private hill tracks with chances to see Scottish wildlife like red deer, grouse, mountain hares or golden eagles. Travelling north into the Cairngorms National Park, if time allows you might wish to stop at Scotland’s highest whisky distillery, Dalwhinnie, where you can take a tour and sample a wee dram. Spend the night in the Aviemore area. 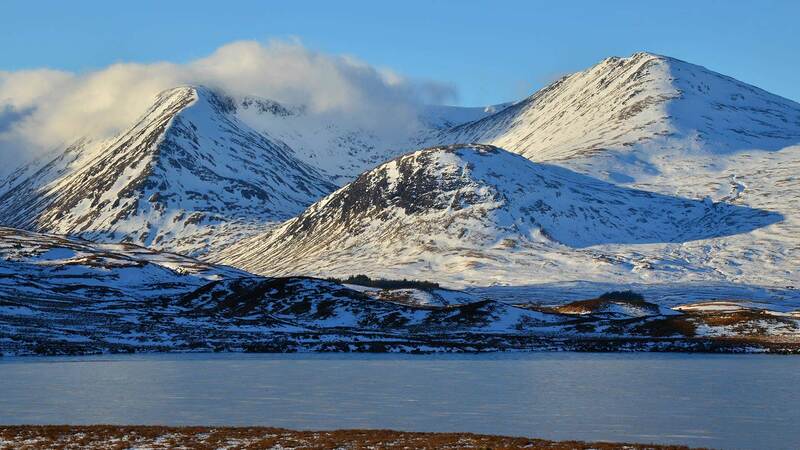 Today you have a full day to explore the area surrounding Aviemore. 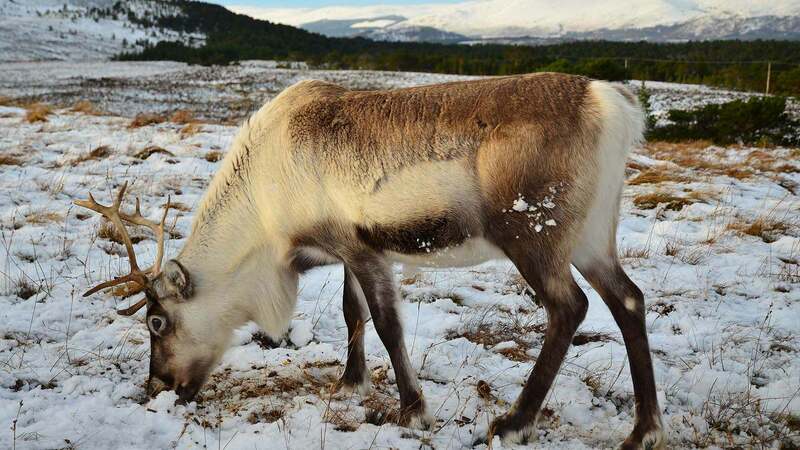 There is no shortage of activities: you can opt for a long walk around the tranquil and crystal clear Loch an Eilein, take the funicular railway up to the top of Cairngorm Mountain for grand vistas over the Highlands or visit the Reindeer Centre where you can feed and pet the friendly reindeers that are free-roaming on the mountainside. 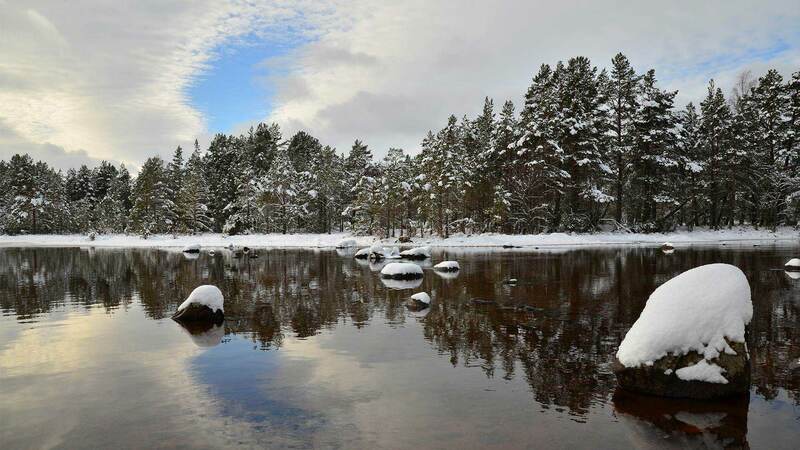 If you are fortunate to experience a good snowfall you can go snow-boarding or skiing on the slopes of the Cairngorms. If you want to take things at a more relaxed pace, you can sample the wares of the award-winning Cairngorm Brewery. 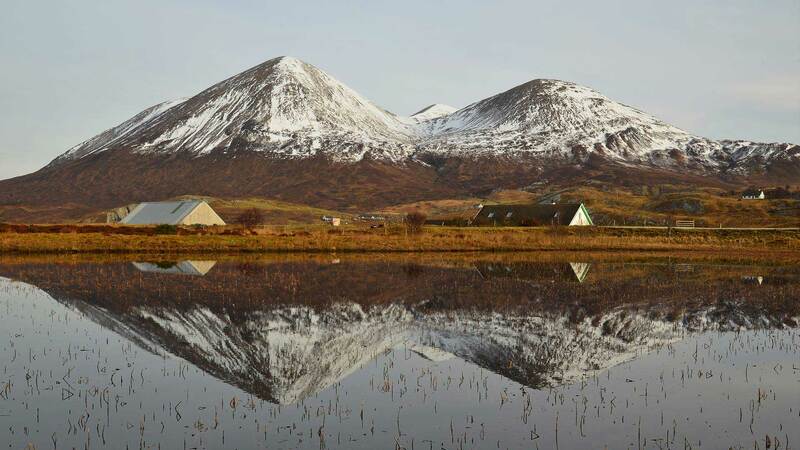 Beautiful nature abounds in this popular winter destination of Scotland! Spend another night in the Aviemore area. Experience some of Scotland’s most famous attractions today. Make your way to the shores of Loch Ness via the capital of the highlands, Inverness. En route, you have the option to explore the nearby Urquhart Castle ruins on the shores of the loch. Further along the drive, make a stop at the iconic Eilean Donan Castle, a sight you will surely recognize from many photographs, films and TV shows. If you’re a keen photographer, winter is an especially great time for visiting the castles as the crowds are much lighter. Then head for the picturesque Isle of Skye in the Inner Hebrides, where you can enjoy the bright frosty mornings and stunning winter sunsets. Spend the night on the Isle of Skye. Today you have a full day to immerse yourself in the magic of Skye, a haven for nature lovers and history enthusiasts alike. Take some time to wander around the scenic village of Portree with its colourful buildings and boutiques, and drive around the northern part of the island via the breathtaking Trotternish Peninsula. Here you can enjoy a walk up to “The Old Man of Storr” rock pinnacle for stunning views and view the beautiful Kilt Rock waterfall. Other suggested highlights include the An Corran Beach at Staffin, where you may spot dinosaur footprints dating back 165 million years, and the sweeping vistas from the Quiraing landslip. Spend another night on the Isle of Skye or nearby vicinity. 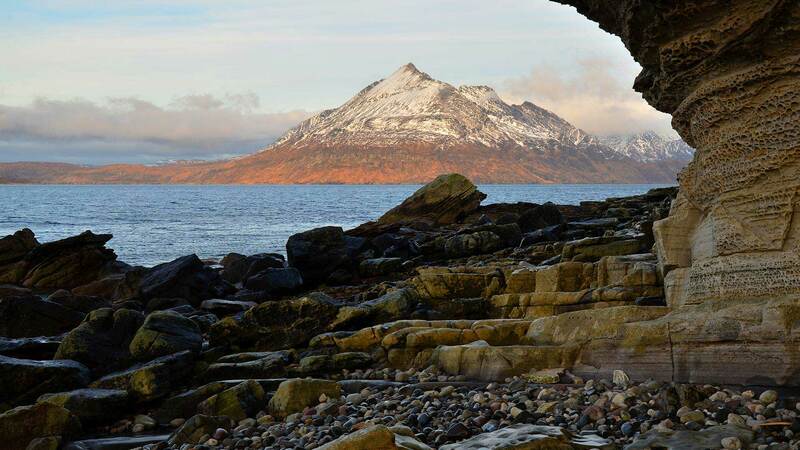 Today head to the beautiful south of Skye and take in some gorgeous scenery characterised by dramatic coastlines, and the mighty Cuillin Mountains. You may wish to visit the Talisker Distillery to sample some Whisky, or enjoy a walk to the beautiful crystal clear fairy pools at the foot of the Black Cuillin Hils. In the afternoon return over the Skye Bridge and make your way through Lochalsh and the Great Glen. Make a stop at the Commando Memorial, the statue is in a stunning location to admire the views of Ben Nevis and Mamore Mountains. Head to Rob Roy country, the Trossachs and Loch Lomond area today. This journey takes you past Scotland’s most famous valley, the magical Glen Coe, combining world-famous scenery and history. For a fun photo opportunity, don't miss the Doune Castle, featured in the classic film Monty Python & the Holy Grail and the Outlander TV series as "Castle Leoch." Another ideal place to visit is Stirling Castle and the monument dedicated to William Wallace, the rebellious Scottish knight and subject of the film Braveheart. To get to Edinburgh Airport, you can take the Airport Express bus from Waverley Bridge or a taxi directly from your hotel. 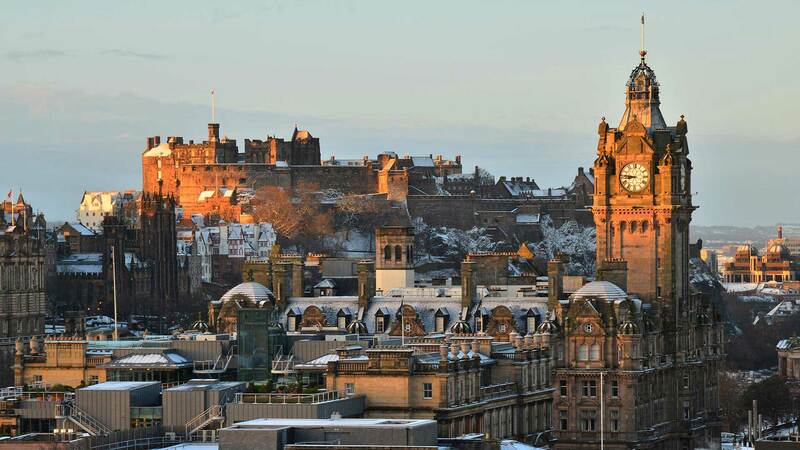 If your flight is in the afternoon, use the morning to enjoy some last-minute shopping, visit one of Edinburgh’s museums or simply relax and take in the old world atmosphere of the city. We can also extend your trip with other destinations in the Nordic region such as Iceland or Norway. Contact us for details about customizing your itinerary. Back to Portugal, we cannot tell you how much we have enjoyed travelling arround your beautiful ​country. It would not have been possible without a superb organisation and support from your side. The map with the itinerary was a great help, without doubt, as well as the booklet with lots of useful information. We used them both throughout the whole time. Let us also tell you that we have enjoyed very much all the hotels and rooms you've booked for us. Needless to say that we look forward to using Nordic Visitor services again, in the future! As you will be travelling over the winter season, please note that sightseeing and transport is dependent on weather and road conditions and might need to be altered if conditions are not favourable. This includes ferries and drives. We recommend being particularly careful when driving during the winter months, especially in the Highlands where it snows more often, and always checking the weather and road conditions before leaving your accommodation in the morning. If something unexpected occurs, you can call our 24-hour helpline to speak directly with a Nordic Visitor staff member.